There has been considerable alarm and a lot of confusion related to the new laws around the licensing of groundwater. The fact that well owners are uncertain about how the regulations and fees will affect them is not surprising, since from my own experience the government agencies are still trying to sort it out themselves. For those who are affected and/or interested, I will try to provide some info and perhaps some rationale. VANCOUVER - Less than six per cent of groundwater in the upper two kilometres of the Earth is renewable within a human lifetime, a new study led by a British Columbia scientist reveals. 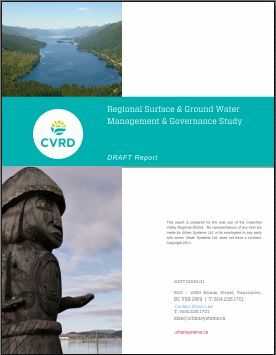 Tom Gleeson of the University of Victoria led an international group of hydrologists in producing the first data-driven estimate of the world's total supply of groundwater. The study, published in "Nature Geoscience," found the essential resource is being used up far too quickly. With streams running dry, wildfires raging, reservoirs running low, watering restrictions in place, and severe drought declared across the populous south coast of B.C., fresh water is the hot topic.